On April 19th 2017, Victory Club members came together at 100 Barclay to celebrate Katie Rogers with cake and Prosecco. Katie Rogers, the talented artist and illustrator behind @PaperFashion, shared some designs that were printed onto cakes using custom Chefanie Sheets. Katie Rogers presented the guests with the story of her career and inspiration she regularly draws from. Katie Rodgers presenting her work to Victory Club members and guests. 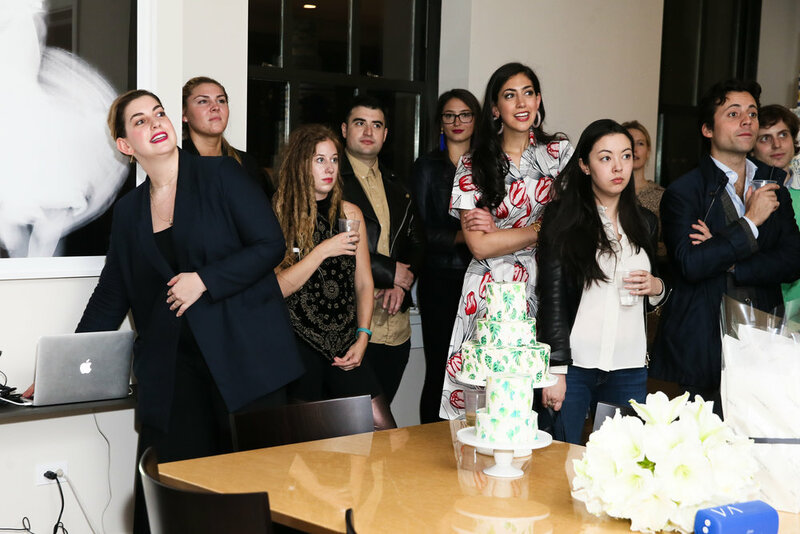 Guests enjoyed cake and Prosecco as they mingled in a stunning apartment at 100 Barclay. Guests had a wonderful time. We thank Katie Rogers for inspiring us and for 100 Barclay for hosting.